This manual hydraulic coring machine can be connected to the hydraulic control unit, mod. AS30 or to the other hydraulic outputs, such as mini-excavators or other hydraulic machines, with a maximum rate of 30 l/ min. Ideal when there is no electricity on the worksite or when it is necessary for safety reasons like, for instance, underwater drilling. 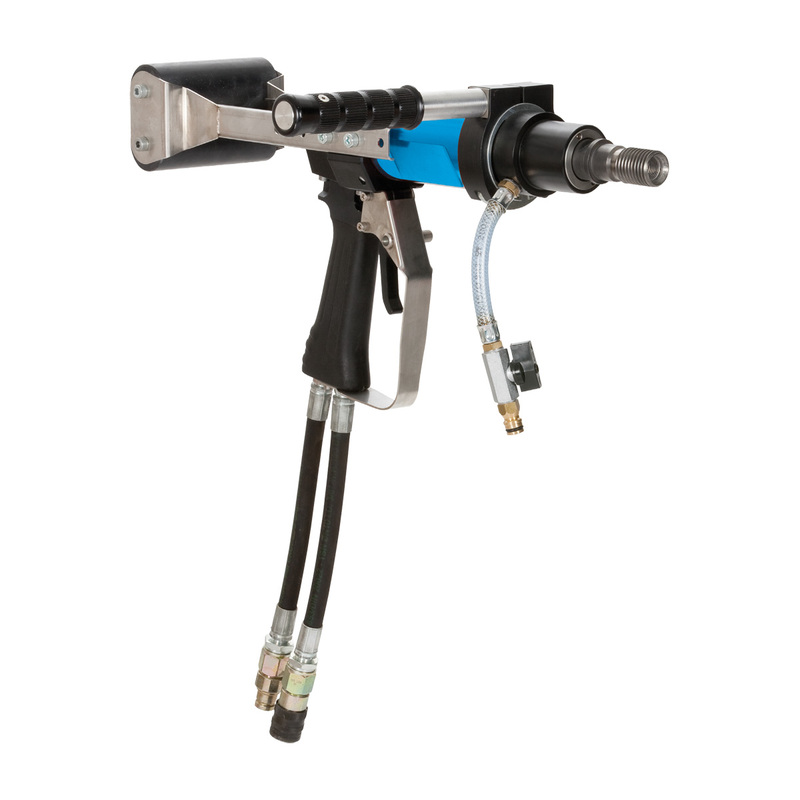 Supplied with a double fitting, 1 ¼ and ½ gas; with adapters, supplied on request also core bits with an M16 fitting can be mounted.